The talking heads over at fake news purveyor CNN are drowning in a sea of anger and tears after failing miserably to bully President Trump into ignoring the terrorism of Antifa extremists who provoked mass mayhem in Charlottesville, Virginia, over the weekend. Rather than issue a politically-correct statement solely against the alleged “white supremacists” who converged on the University of Virginia campus like CNN wanted him to, the President instead stood firm in his convictions, denouncing the violence that occurred on both sides – and now CNN has completely gone off the rails by actually endorsing Antifa and calling for more violence on America’s streets in response. In typical form, CNN interviewed the Miller Center’s Douglas Blackmon, a race-baiting hack who expressed outrage over President Trump’s refusal to follow the official script in painting all of the protesters who gathered in Charlottesville as neo-Nazi racists. As the President clearly and accurately pointed out during a recent press conference, many of the protesters there were just peaceful patriots actively voicing their opposition to the removal of American history in the form of a bust of Confederate General Robert E. Lee. The two radicalized groups that overtook these peaceful protesters became the sole focus of the mainstream media, which was quick to denounce the neo-Nazi side but not the Antifa side, which reportedly was comprised of out-of-towners (as was the neo-Nazi side, by the way) who flooded the town with violence on their minds – reportedly carrying baseball bats, clubs and even pop cans filled with concrete as some of their weaponry. Fake news networks like CNN have been quick to ignore all of these important facts, instead placing all the blame on the neo-Nazi side because of an incident involving a vehicle that rammed into a crowd, allegedly killing one woman and injuring dozens of others. The validity of this incident, however, is questionable, as the young man who the media has blamed for crashing the car doesn’t even appear to be the same middle-aged man who photos suggest was actually driving the vehicle. The whole thing stinks of having been planned and intentionally used as a way to vilify conservatives who aren’t too keen on having their cultural identity and history destroyed by domestic terrorists like Antifa. By co-opting the original peaceful protest, both Antifa and the neo-Nazis were used as political patsies to invent the fake narrative that anyone who cares about preserving historical artifacts is automatically a KKK member. Because President Trump isn’t about to go along with this manufactured charade and its nefarious end goal, CNN is escalating its anti-American agenda by lending its support and sympathy to Antifa. By covering up Antifa’s true terrorist actions and making it seem as though the group represents some kind of legitimate resistance, CNN has officially shown itself to be a co-conspirator in this coup on not only our legitimately-elected president, but also the tens of millions of American patriots who are trying to defend their heritage. 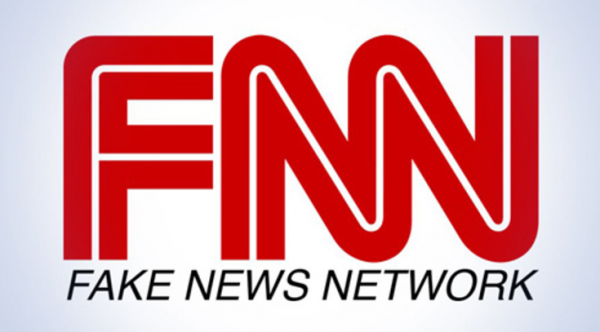 What this all amounts to is treason on the part of fake news network CNN, which without a doubt is now a proven enemy of the Republic.